Merry Minstrel is your premier party rental and entertainment company in Orlando, Florida. Nothing says fun like a bounce house, rock wall, or a giant water slide. We provide great events with our interactive game rentals and professional entertainment. The fun is endless when you let Merry Minstrel bring the excitement to your party. We can help create an event that will be memorable for years to come. Do you need help planning your carnival, corporate party or community event? Because we have over 20 years of experience in event planning, we have what it takes for you to have a successful event. For this reason, if you need a sports game, obstacle course or a giant water slide Merry Minstrel has the best and newest available. You will find a variety of items not found anywhere else like our corn maze, giant snow globe and 30 ft tall snowman. Because we bring to the table years of experience in decor and atmosphere your event is sure to be a success. Above all, our entertainers, inflatables and decor are the highest quality available. Our bounce houses are cleaned and inspected after every rental. Are you planning an indoor event? No problem. Our inflatables are clean enough to eat off of. Our large warehouse insures our rides, games and decor are clean and ready for your event. 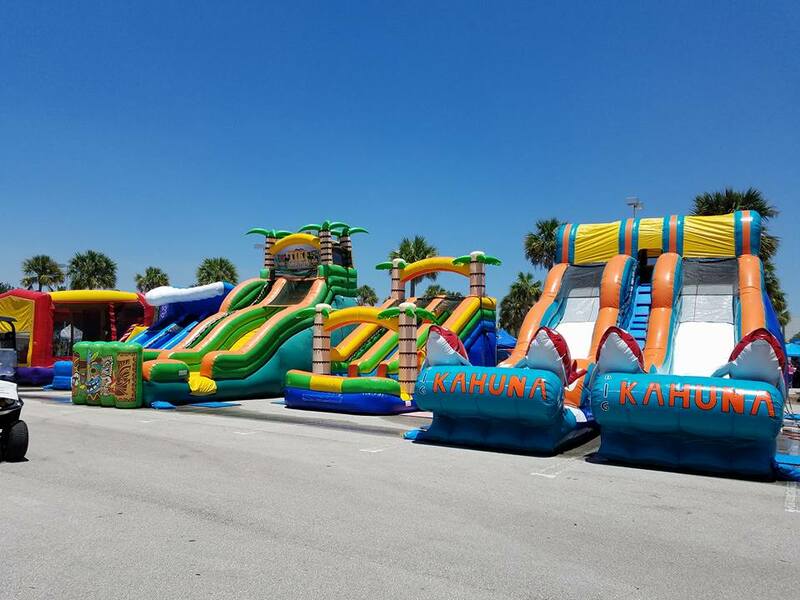 Furthermore, as Orlando’s premier party rental and inflatable provider, we have the cool, unique designs you need to match almost any theme. From a Disney Princess Castle to sports themed game our extensive collection wows even party planners. 20 years of experience guarantees your event will stand out. Our dedicated staff are committed to making your party a success. Custom packages are available to fit your needs and budget. We are a one stop shop! Call Merry Minstrel today and let us help you plan the event of the year! We understand renting a bounce house or planning an event can be overwhelming. Please feel free to call anytime and speak to Michele or Lee. We will be happy to answer any questions or concerns. Is your yard ready for a bounce house or water slide? Before you do ANYTHING, make sure that you are prepared. Download our preparation checklist free of charge.